If you're visiting Vancouver and are a fountain pen fan, please feel free to swing by one of our meetings. Details on upcoming meetings are posted on this website, and no RSVPs are needed for any meetups not held at a restaurant. 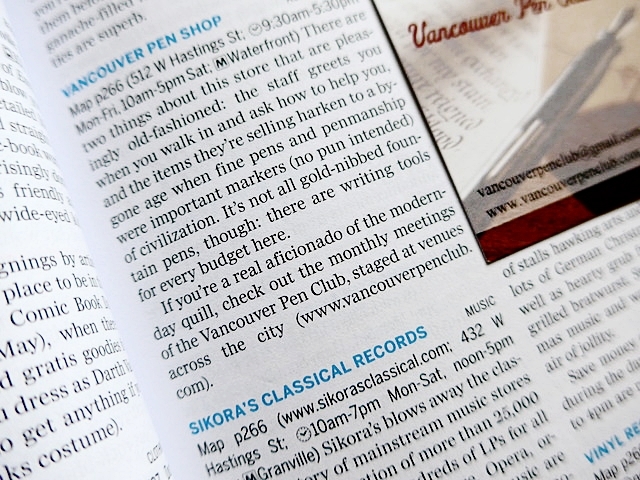 Many thanks to the folks at Lonely Planet for including us in their great travel guides!